Two former Bandai employees have been arrested on suspicion of swindling the company out of 200 million yen ($1.8 million) between July 2013 and November 2016. According to The Tokyo Reporter and ANN News, the ex-employees, 44-year-old Takashi Udatsu and 66-year-old Takao Kurokawa, have been accused of faking documents. 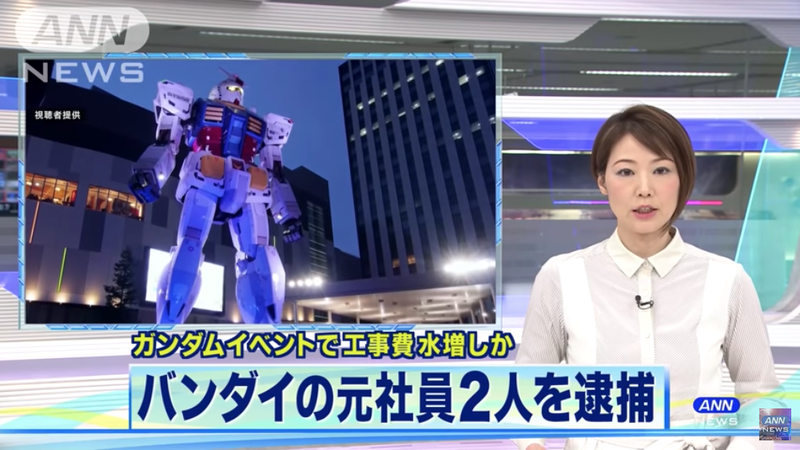 Specifically, Nifty News adds that in 2013 they allegedly inflated the budget for Tokyo’s giant Gundam for things like LED lighting to the tune of approximately 100 million yen ($914,000). Bandai discovered the alleged crimes during an internal investigation in October 2017. Udatsu has confessed, while Kurokawa is quoted as saying he had nothing to do with the alleged crimes.